We recognize that filing a lawsuit is a rare occurrence for most people. As a result, it is often an intimidating process to begin and confusing once involved. 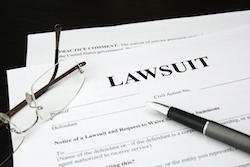 To help answer many common questions about lawsuits, we are compiling a Litigation Guide. We will continue to add to this guide over time, so let us know if there are any questions you would like answered and check back for more updates.